It’s finally here! 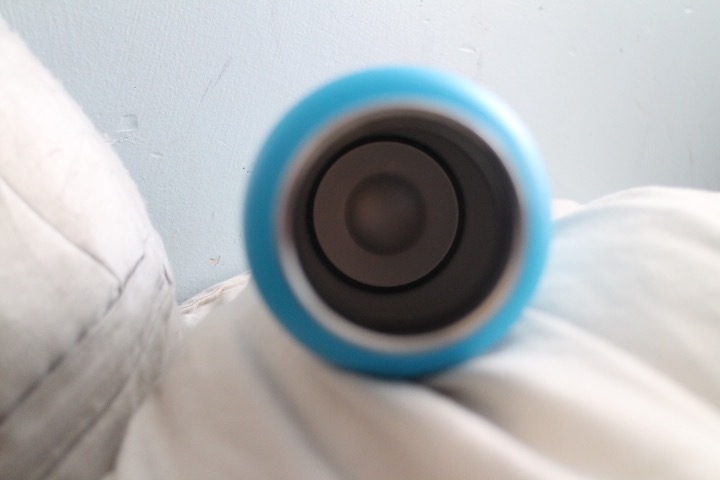 Hydroflask is now stocked in the UK. I randomly saw it in Snow and Rock and knew I needed one in my life. The Chilly’s bottle didn’t seem to last and stop keeping my drinks cold and made my water taste weird. 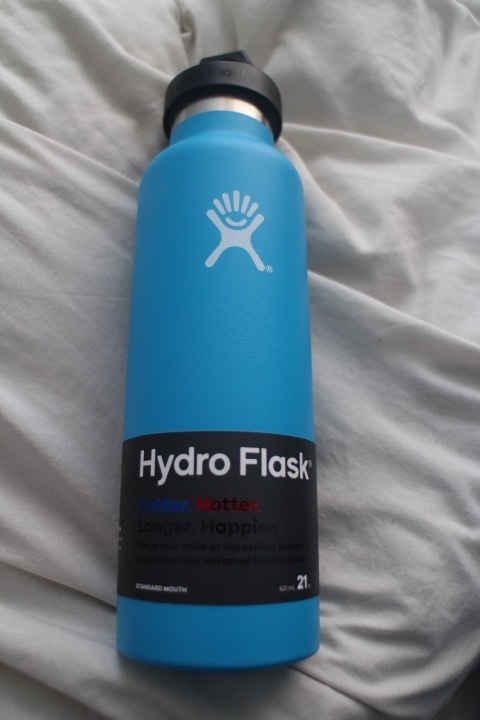 This blue Hydroflask bottle is actually my third purchase; I have two at home, which holds 532ml of water, and the other one holds 946ml of water. Both of these I can take on the go depending what I do for the day. Its double wall vacuum insulated TempShield™ helps keep your water icy cold for 24 hours or piping hot for 12 hours. Thanks to no temperature transfer, I have had my Hydroflask bottle sitting in direct sunlight on my office desk and the outside of the bottle felt hot but the inside water was still cold. The outside stays sweat free, no condensation build up and has a powdered coating to stop your bottle from slipping in your hands. 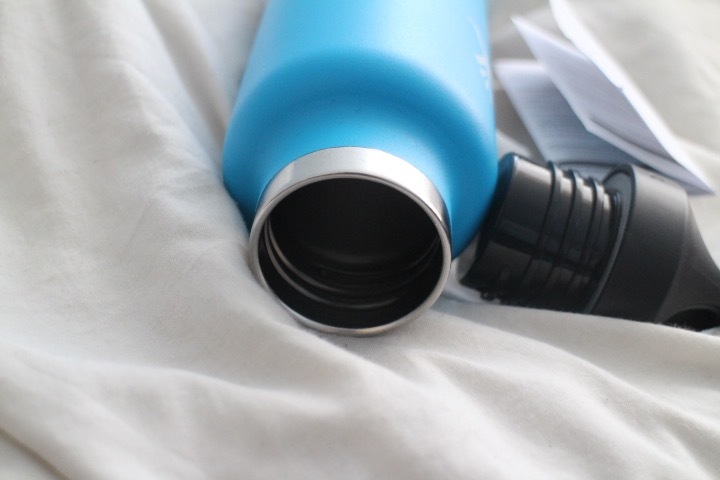 Most of the time the water stays cold all day long depending on how cold the temperature water is when I pour it into the Hydroflask. It did a few times made my water taste a bit funky after a while but for 98% of the time, my water tasted clear with no flavour transfer thanks to the 18/18 pro grade stainless steel. When I have put ice into the water bottle, the ice cubes barely melted even 3-4 hours later. Staying true to its promises keeping drinks cold. My oldest Hydroflask bottle is hardly been scratched the logos and text have not dropped off, meaning its super durable long lasting. There are various options of the Hydroflask to buy and the three that I currently own has different lids. One is a screw top, the other is standard mouth loop and lastly, I have the latest newly designed flex cap. I’m really glad I have replaced all my Chilly’s bottles with something I originally wanted to buy at the beginning of my research of water bottles. Now that you can finally buy them in the UK I highly recommend them for whatever your needs. 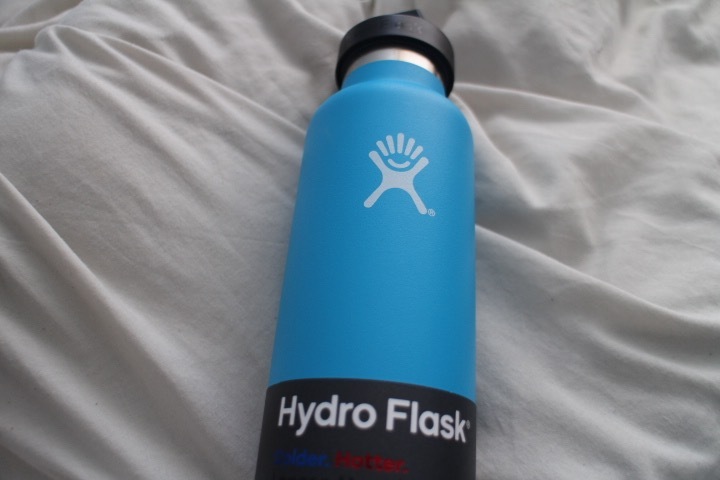 If you’re looking for one of the best waters then Hydroflask should be on your list.